Nvidia is arguably the only company to be heavily pushing GPU accelerated in-game physics, an inevitable outcome of its AGEIA purchase just two years ago. As a result Nvidia's PhysX technology has become one of the foundation features of its graphics cards, with PhysX becoming a genuine, if occasionally misguided, tick box for consumers. Things have recently got a bit introverted in the Nvidia camp though, with the company deliberately cutting ATI AMD cards out of the GPU PhysX loop. With a noticeable visual difference when running Mafia 2 with PhysX enabled we decided to investigate the performance effects of using PhysX. How much different is it from using the CPU? 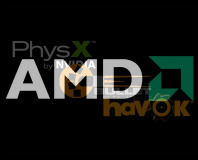 How does an additional, dedicated PhysX card compare to a using single Nvidia graphics card? 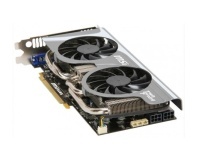 How does the older GT200b generation compare with the more recent Fermi powered cards? How do more CPU cores and higher CPU clock speeds affect PhysX performance on the CPU? While we know the power of a website lets readers skip pages to just read the results of interest, this article is written as a progressive documentation of our thought process. As we generated the numbers in the tests, we then decided to run more tests to discover the real limitations in what's actually needed to get the most out of a PhysX system . It was a process of discovery for us and we hope it's as enlightening for you. 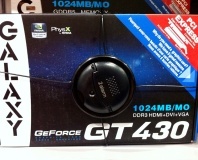 We've used an MSI GTX 460 768MB Cyclone as the GF104 Fermi card, with a GeForce GTX 275 896MB as both a dedicated PhysX card and GT200b comparison. We've also tested an ASUS HD Radeon 5870 1GB with the same graphics settings using entirely the Intel Core i7-980X CPU to see how an ATI AMD side stacks up.